A North West publishing company has been wound up in the High Court after making "misleading and unfounded" statements to induce businesses to place advertisements in its magazines. 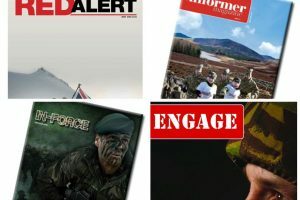 Spencer Farley Ltd, which was registered to a Wirral address but traded from Deeside, produced four magazines with military-related content: ‘Red Alert’, ‘In Force’, ‘The Informer’ and ‘Engage’. The magazines were funded by the sale of advertising space to small businesses and were distributed free of charge. An investigation by the Insolvency Service found that the company made misleading statements to customers by stating or implying that the company was affiliated to the armed forces when, in fact, there was no such relationship. Financial statements filed by the company show it to have received an income in excess of £1.1m from the sale of advertisements between October 2013 and January 2016, with the majority benefiting company’s directors and personnel and "relatively little" spent on production and distribution of the magazines. The company was also unable to produce records to verify cash payments of £116,582 to two sales representatives who were said to have left the company almost immediately after the investigation began. Colin Cronin, Investigation Supervisor with the Insolvency Service, said: "In its telesales calls and on its website Spencer Farley Ltd used terminology such as ‘campaign’, ‘raise awareness’ and ‘support’ to mislead customers into believing that it was raising funds on behalf of or in support of the armed forces. In fact, the overwhelming majority of funds raised were paid directly to the company’s directors and telesales staff instead of being applied to any good cause. "The Insolvency Service will take firm action against companies which prey on the charitable nature of small businesses in this way."